Check out our funky forest fauna gallery here! 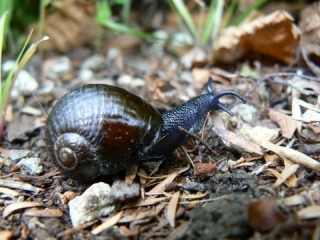 Wainuia urnula urnula is a snail first found in Wainuiomata, New Zealand - and known to be a carnivorous hunter and exceptionally fast - for a snail! Photo credit: Margaret Willard.